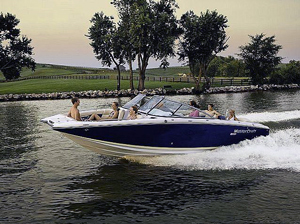 Noted tow boat builder will introduce 33-footer with full cabin. 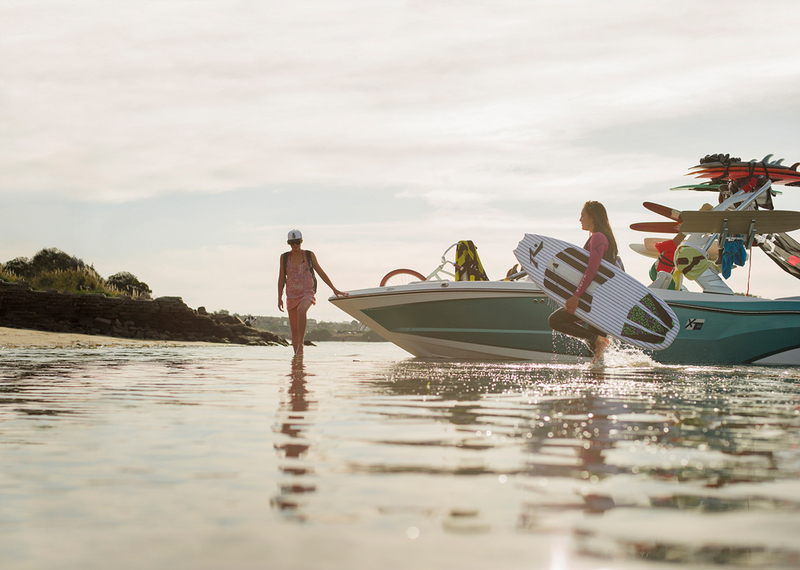 The twin-tip bow shape, a signature of several recent MasterCraft models, forms a broad forward hullshape and on this new model creates more space in the cabin. 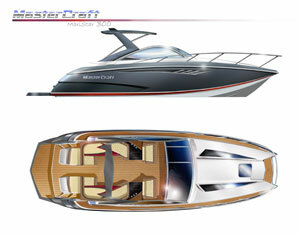 MasterCraft will pull the sheet off an all-new twin-tip "day yacht" on February 12 at the Miami International Boat Show. 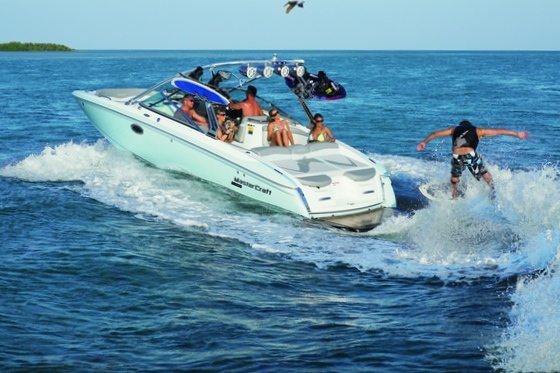 The 33-foot nine-inch MasterCraft 300 floats on an 11-foot beam, making it the largest boat ever produced by the Tennessee-based builder that made its name in the inboard tow-sports market. 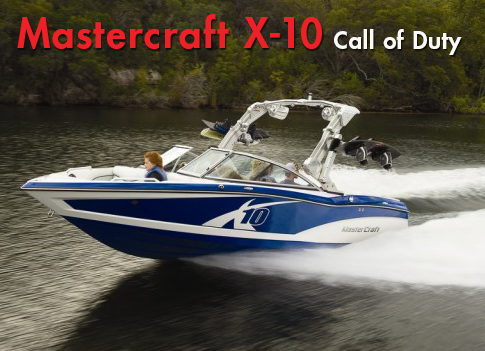 It will also be the first MasterCraft with a full cabin, offering more than six feet of headroom and sleeping accommodations for four. 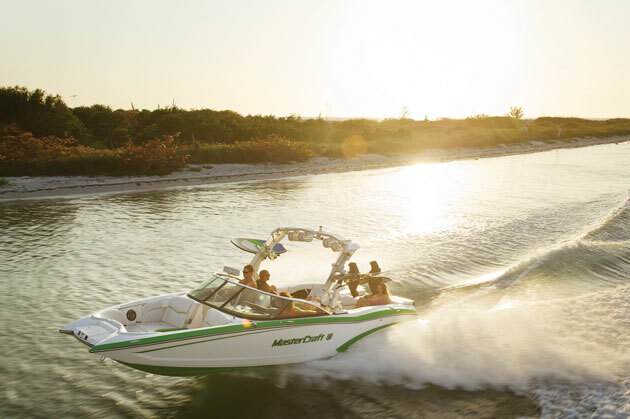 The twin-tip bow shape, a signature of several recent MasterCraft models, forms a broad forward hullshape and on this new model creates more space in the cabin. The large cockpit features a split sunpad with adjustable lounger seats. 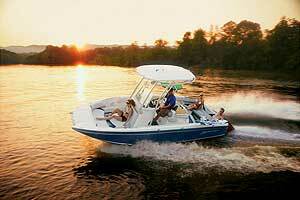 The teak decking shown in the illustration of the boat will be an option. The standard arch incorporates a hardtop. 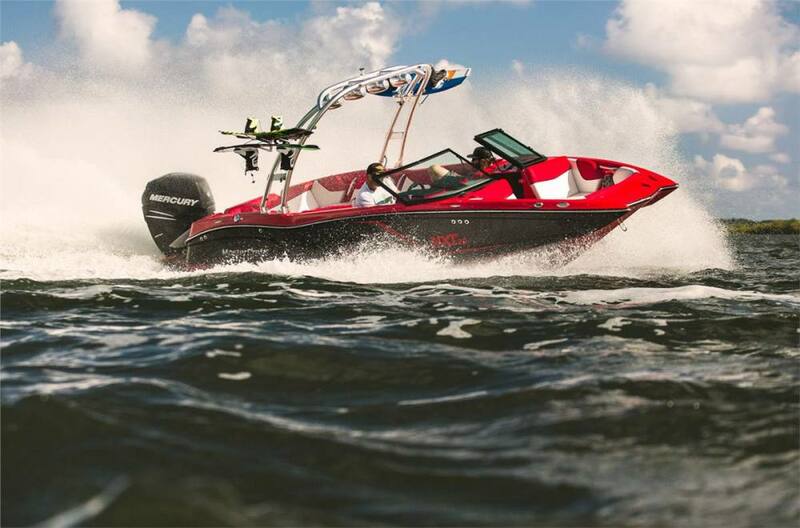 The 12,500-pound boat will be powered by twin v-drive inboards, with 400-hp 6.0-liter gas V8s standard and a Cummins diesel option available.